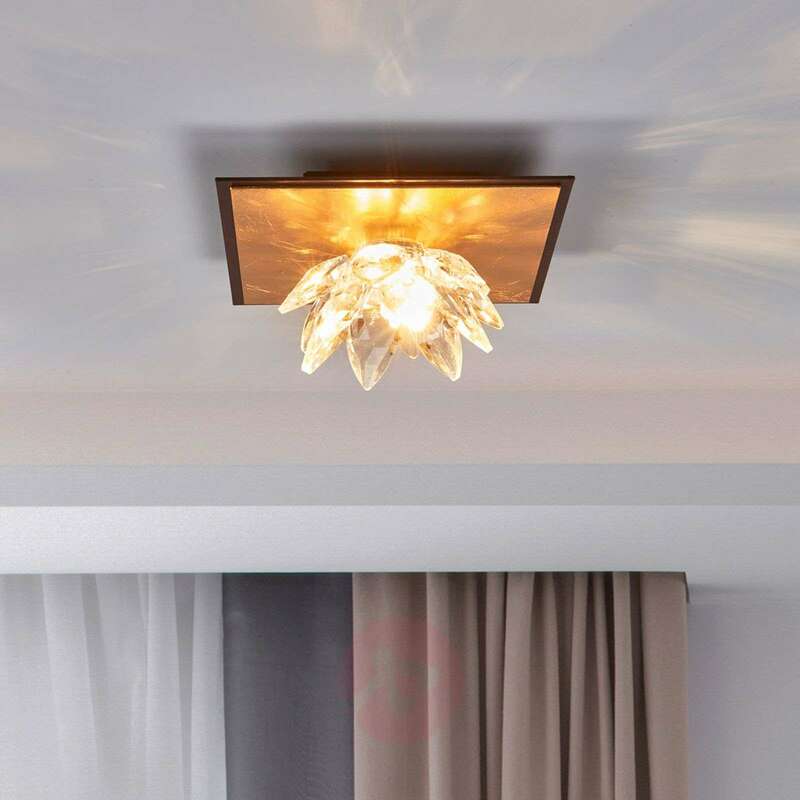 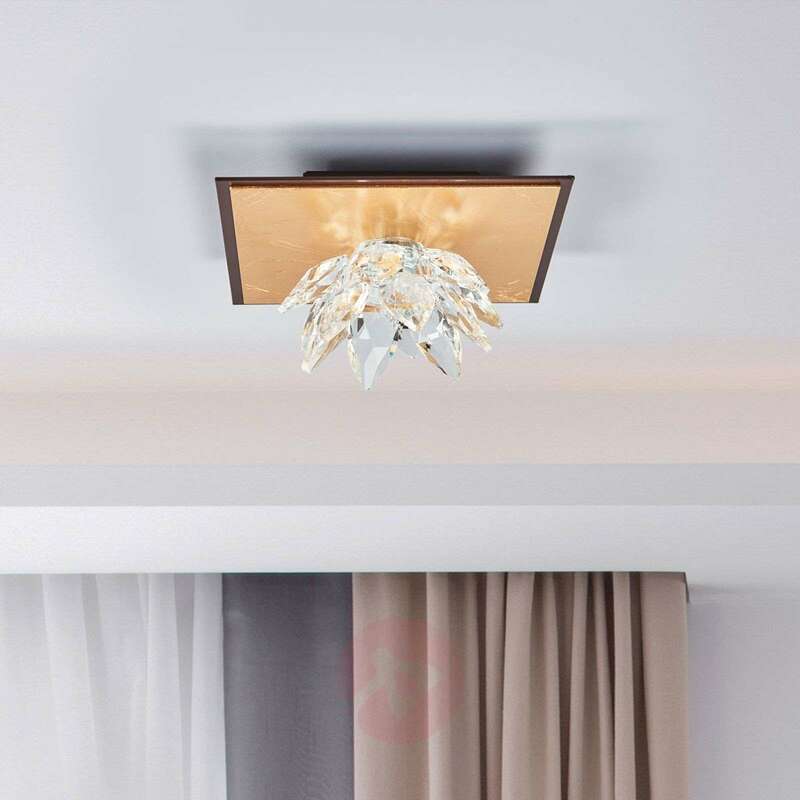 With pure elegance and a touch of modernity - the small ceiling light Fiore always knows how to impress. 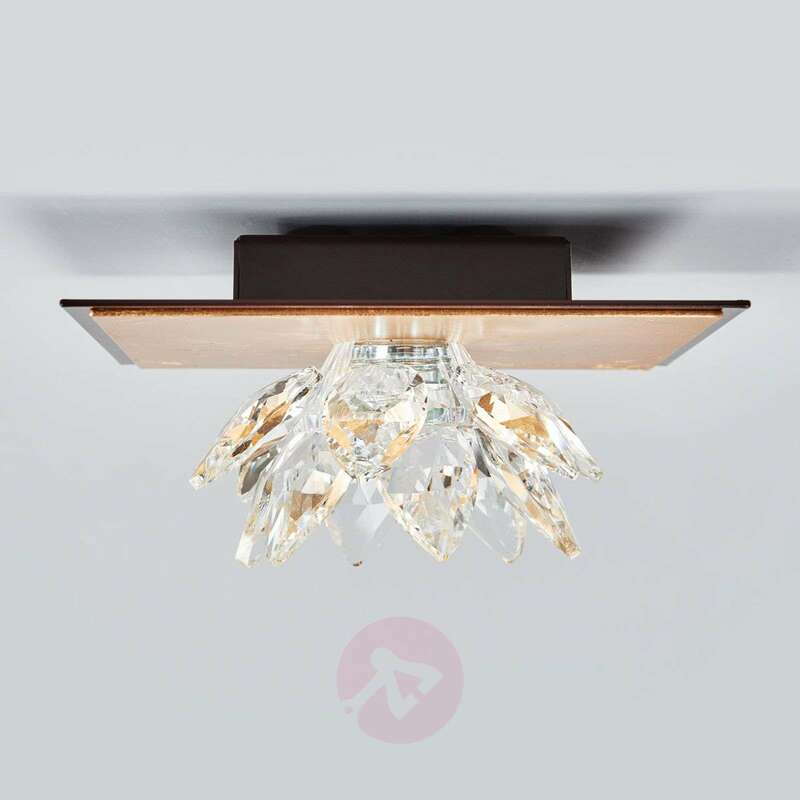 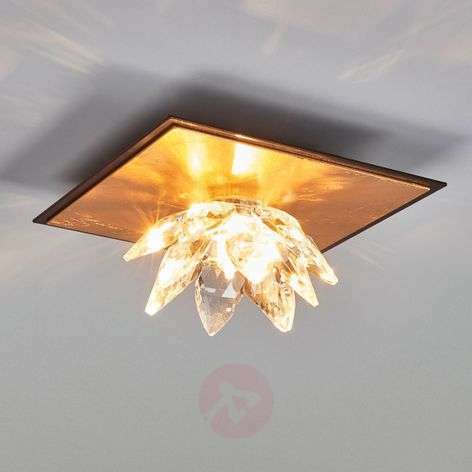 The highlight is the beautiful crystal flower, which reflects the light beautifully creating a sparkling lighting effect. 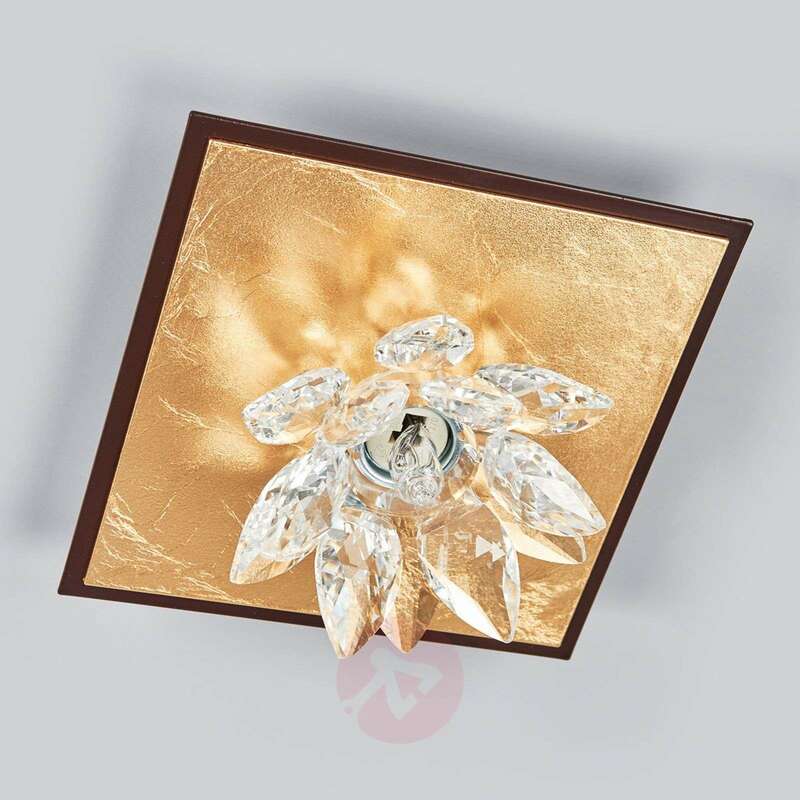 It is supplemented by a base covered in gold leaf, which perfectly complements the overall appearance of the light. 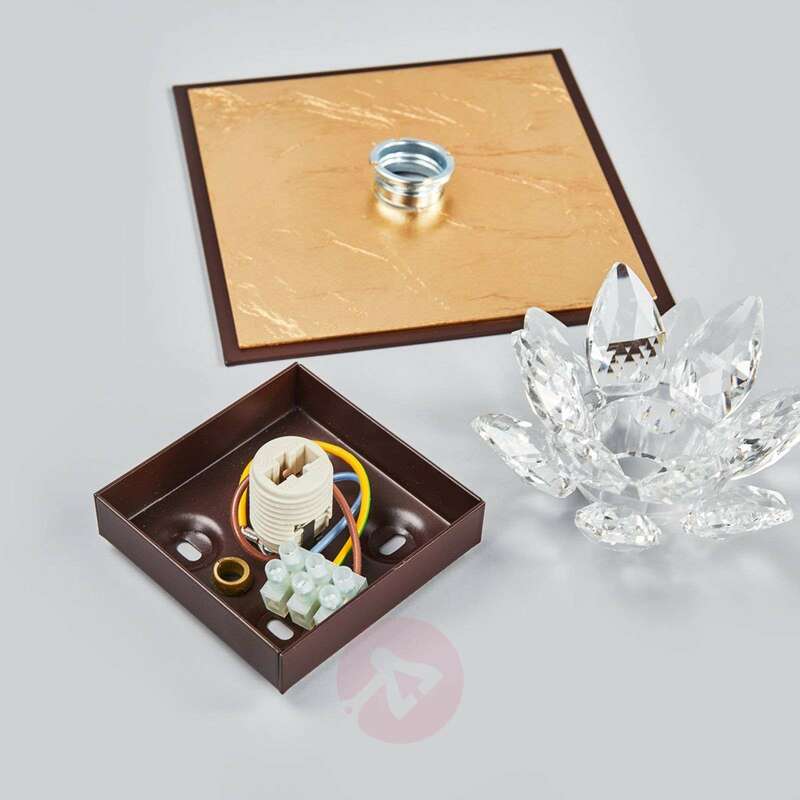 Fiore is equally suitable for installation on ceilings or walls.